The green walkways in Perpetual Succor Hospital provide cooler and fresher air for patients. From Mongolia to the Philippines, Taiwan to Nepal, hospitals across Asia are making impactful work towards lessening their environmental footprint and protecting the health of both human beings and the planet. 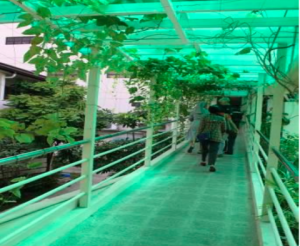 On October 29 and 30, the second Global Green and Healthy Hospitals Conference in Asia, themed “Asian Hospitals Responding to Climate Change,” will take place in Seoul, South Korea. Members and non-members from all over the region are expected to participate and showcase the best practices of their health systems and facilities and mobilize the health sector towards taking concrete and immediate actions on climate change. 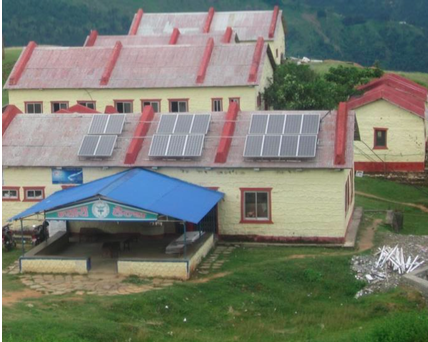 Solar panels provide energy for Bayalpata Hospital, located in a remote area in Nepal. 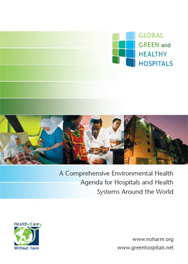 During the first ever GGHH Asia conference held in Manila, Philippines in 2013, representatives from different health systems demonstrated how they work towards achieving the 10 GGHH Agenda Goals by documenting their best practices through case studies that were presented during the event. Submit your own case studies for a chance to present at this year’s GGHH Asia Conference. The 2015 GGHH Asia Conference is organized by Health Care Without Harm in partnership with Yonsei University Health System and the Korea Environmental Industry and Techonology Institute (KEITI). For more information on the work being done in different countries of Asia, click here. 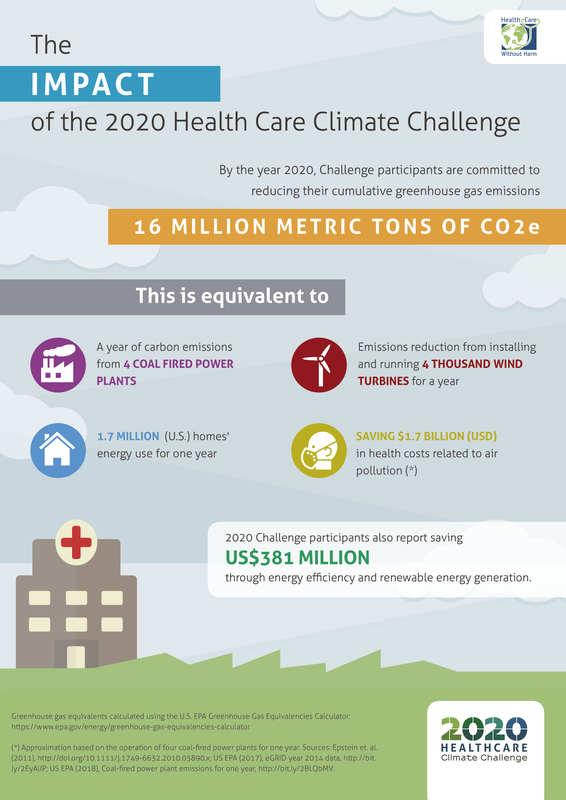 Global Green and Healthy Hospitals is excited to announce its new annual climate awards program as part of the 2020 Health Care Climate Challenge. The first set of awards will be announced in Paris during the United Nations Conference on Climate Change this December. Hospitals, health systems, and health organizations around the globe are making incredible strides to reduce their impacts on and prepare for climate change. Now, through the 2020 Challenge, these organizations can receive global recognition for their leadership role in the movement toward a low carbon health sector and a healthy climate. 1. Mitigation – Reducing health care’s own carbon footprint. 2. Resilience – Preparing for the impacts of extreme weather and the shifting burden of disease. 3. Leadership – Educating staff and the public while promoting policies to protect public health from climate change. 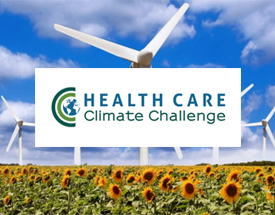 In addition, a Health Care Climate Champion Award will acknowledge those hospitals and health systems that have achieved success across all categories by raising the bar for low carbon health care and using their voice to catalyze transformative change. To be eligible for awards, organizations must be an official participant in the 2020 Challenge while setting their targets and tracking their progress through the data forms on GGHH Connect (available in English, more languages to come). At the end of each year, GGHH will evaluate submitted forms and distribute awards to qualifying organizations. DEADLINE TO SUBMIT FORMS FOR 2015 AWARDS IS NOVEMBER 1.